A year since they said goodbye in Hong Kong, former NSA-contractor Edward Snowden and journalists Glenn Greenwald and Laura Poitras have reunited in Moscow. As a proof-pic, they shared a selfie, presumably taken by Snowden. David Miranda, Glenn Greenwald’s partner, who helped to bring Snowden’s files to the journalist, shared two photos with the whistleblower on his Facebook page on Thursday. @free_snowden It was actually a selfie, taking by Snowden. 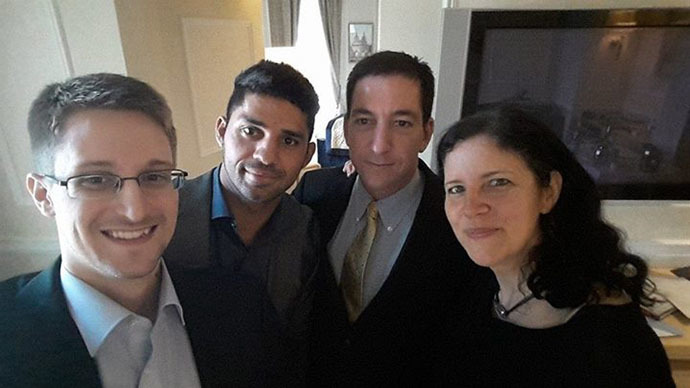 In one of them, Snowden, Miranda and the former Guardian reporter are posing along with fellow journalist Laura Poitras. 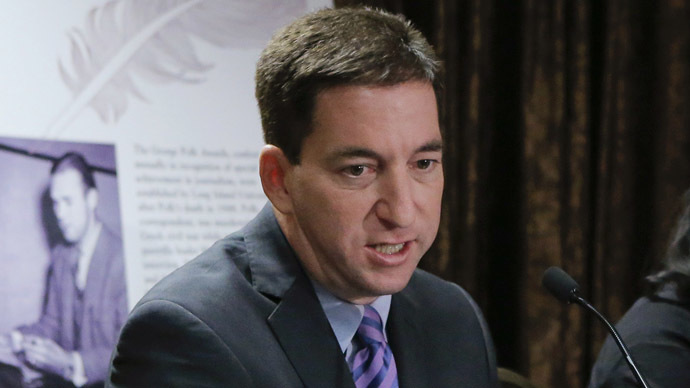 According to Greenwald, he and Poitras are the only two people with the full archives of the NSA leaks. "Snowden selfie! #selfie" Miranda captioned the photo of the foursome. The last time Snowden, Greenwald and Poitras met was a year ago in Hong Kong, where Snowden went before fleeing to Moscow, and where he handed“many thousands of documents” over to Greenwald. Miranda also posted a picture of himself and Snowden (by the way, looking well-groomed and neat) posing next to each other in a hallway. This was the first time Miranda met the former NSA-contractor in person. Greenwald tweeted that the pictures were taken Thursday morning. While the precise location, which is not being disclosed for certain (understandable) reasons, is hard to determine, there can be no doubts that the picture has been taken in Moscow. Russia’s capital has been home for Snowden since June, 2013 when the whistleblower was granted temporary political asylum after leaking national security documents detailing America’s vast surveillance apparatus and intelligence techniques. His US passport was revoked, making him a bearer of only a Russian passport, which was issued to Snowden after Moscow granted him asylum. He is unable to travel due to security fears. 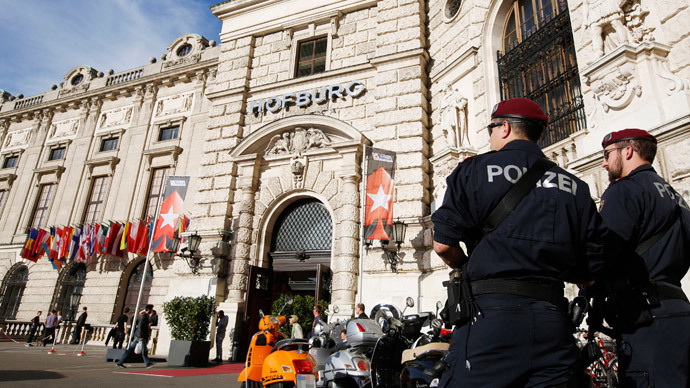 It is unknown what Snowden is doing for living and where the place he calls home is, for now. With Snowden now out of whistleblowing, revelations continue to shed light on the NSA and its spying activity. In recent revelations on Snowden’s life, it turned out that, back when he lived in Hawaii, Snowden was led a Crypto Party club aside his main occupation. He basically taught strangers how to encrypt their hard drives and use the internet anonymously, the Wired reports.